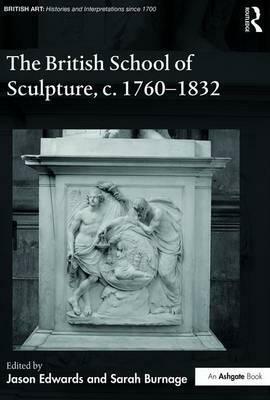 The British School of Sculpture, c. 1760 1832 represents the first edited collection exploring one of the most significant moments in British art history, returning to centre stage a wide range of sculpture considered for the first time by some of the most important scholars in the field. Following a historical and historiographical introduction by the editors, situating British sculpture in relation to key events and developments in the period, and the broader scholarship on British art more generally in the period and beyond, the book contains nine wide-ranging case studies that consider the place of antique and modern sculpture in British country houses in the period, monuments to heroes of commerce and the Napoleonic Wars, the key debates fought around ideal sculpture at the Royal Academy, the reception of British sculpture across Europe, the reception of Hindu sculpture deriving from India in Britain, and the relationship of sculpture to emerging industrial markets, both at home and abroad. Challenging characterisations of the period as 'neoclassical', the volume reveals British sculpture to be a much more eclectic and various field of endeavour, both in service of the state and challenging it, and open to sources ranging from the newly arrived Parthenon Frieze to contemporary print culture.